The story so far flows on the claim that Nollywood has put Nigeria into the exclusive club of the few nations that derive a lot of powers from the reel power resource. In terms of global politics, the members of this club are mainly the United States, China, India and Nigeria. This list can be contested in material terms but even then, Nollywood would still retain its mystique and uniqueness because it is the only one of its type which enables blacks to access the theatre. Nowhere else is this the case. 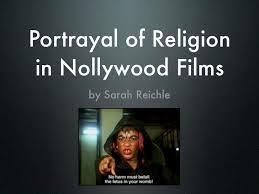 In relation to the African depicted in History, Nollywood and, by implication, Nigeria is, therefore, a big deal. But what then are the challenges? Respondents from the academic, policy, diplomatic and professional orientations have looked at the challenges in terms of the contradictions inherent to Nollywood, the opposition to its perceived moral canvass, the absence of big investors in it yet, the institutional lacuna underpinning it and the question of what it can help Nigeria promote after the cultural statement. 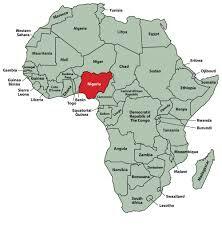 That still leaves the question of what is to be done as for Nigeria to strike in reel geopolitics. 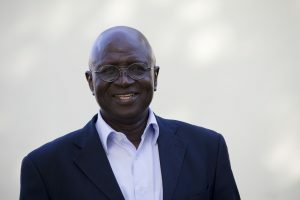 In this third and last section of the three-part report, Ambassador MK Ibrahim offers a rich list of the challenges to be confronted while Professor Kwaghkondo Agber of the University of Abuja sums up in an interview that revisits all the sides to the story of Nollywood and the challenges of Nigeria’s reel geopolitics. Ambassador MK Ibrahim does not advocate government intervention in the film industry in terms of censorship and content control. But, for him, it is not possible or sensible to expect government to wash its hands clean of what goes on in the entertainment industry. The Americans, he tells Intervention, have set an example in cultural diplomacy. The American films that many people grew up watching affected their own thinking about life generally, providing a framework for looking at reality in terms of its complexity: the good, the bad and the ugly. So, films can teach. 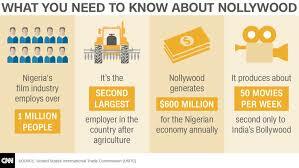 Nollywood, in particular provides employment for young men and women who are able to get out of poverty through it. He mentions the point about how it goes beyond the actors and actresses to the whole lots of ancillary resource persons involved in it, from the local or itinerant traders selling Kannywood and Nollywood products in stalls and shades or motor parks to the presenters, agents, those involved as part of the technical crews, the writers, editors, all of them earning a living that way. So, he concludes that the industry has created a wide range of opportunities. The diplomat then considers the social aspects. Domestically, it includes the fact that people go home and watch these films instead of yielding to the temptations around and about town. At the global level, he sees the reel as a very dependable instrument of countering negativities about the country. He argues how Nigeria has successfully done this with sports. He tells the story of how the only time Swedish youths and nationals came in happy mood to the Nigerian Embassy in that country was when Nigeria won a gold medal in Atlanta Olympic. They not only came in such a large number, they asked for every imaginable details about Okocha, Kanu, Amokachi, Tijani Babangida and other members of Nigeria’s winning team. His wife who was the soccer freak so to say had to step in to fill some of the gaps. It was a complete reversal of the moment before when, following the Ken Saro-Wiwa crisis, nobody was even following the street the Nigerian Embassy was located. Rather, for a whole month, the locals were protesting the Saro-Wiwa hanging until the soccer statement in Atlanta changed the mood. For MK, therefore, the story of Nigeria in terms of 419, drug traffickers, corruption and the likes can be retold using not just the film industry but sports, music and similar cultural innovations. He is, therefore, all for government intervention somehow because Nollywood is not only a positive development for Nigeria, the industry itself doesn’t have the internal capacity to self-regulate. 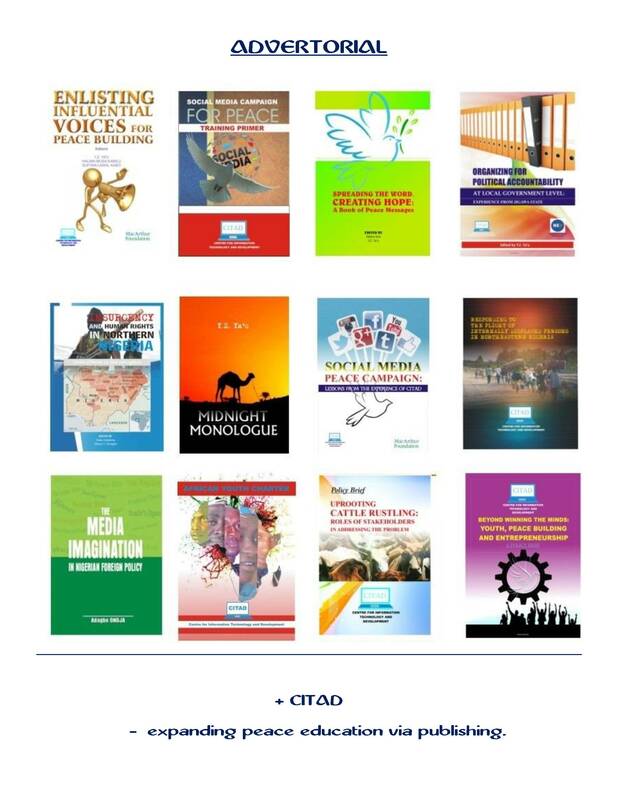 As to the specific ways the intervention might take, his list starts with control of piracy of Nigeria’s cultural products; a programme of sub-titling the films to make it bilingual in the context of Nigeria’s French nieghbours; the development of Departments of Theatre Arts in Nigerian universities to a level where the content of the course as well as equipment can support the industry in terms of the quality of the products; bilateral agreements with countries that are more advanced in the film industry than Nigeria. Elaborating on this point, he says the investment in the film industry in Nigeria is poor. The talents are there but trips still have to be undertaken to South Africa for the production of films, meaning standard studios still lacking. Nigeria produces more films than Hollywood but there are very few Nollywood films that could cost a million Naira whereas the average American film is in millions of dollars. That was Ambassador Ibrahim. This report winds up with the interview with Kwaghkondo Agber, a Professor of Film Theory at the University of Abuja who did his academic work on Nollywood. 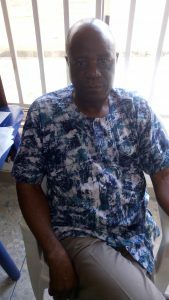 Agber is a multidisciplinary academic, having degrees in Mass Communication, History and Theatre Arts, both within and outside Nigeria. This interview is produced verbatim as it touches again on the key contentious issues taken up in the story from the point of view of a leading academic authority. Enjoy! 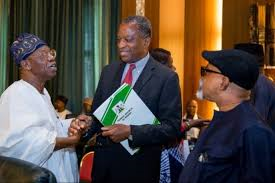 After over ten years of Nollywood and other centres of the emergent film industry in Nigeria, what can we say regarding the challenges there as far as Nigeria’s foreign policy is concerned? The film industry you are talking about started without government intervention, took a long time for government to contribute or before they began to give support. The support was not necessarily in financing but such areas as use of infrastructure or facilities. The Nigerian government, unlike the Chinese, for example, who realised quite early, did not realise film could support foreign policy. 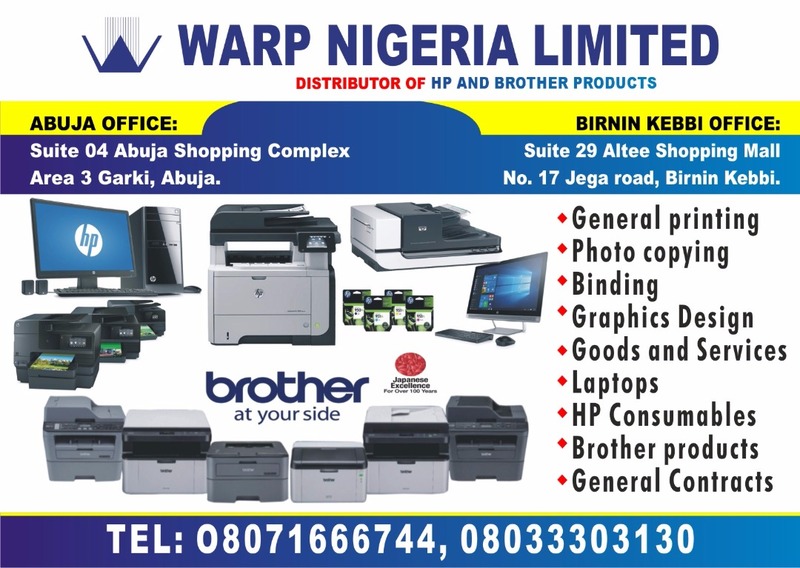 Yesterday, there was a book launch here in Abuja on entertainment – music, dance, photography, etc and they were all lamenting, in effect, that the arena could contribute to revamping the economy and to foreign policy because these segments employ labour and earn foreign exchange. But it is only recently that Nollywood could access police uniforms or cars to make films. These are things taken for granted in other places. You need them so that what you portray in the films are as close to the original as possible and representative of the country to the outside world. I tell my students to take note of the American flag somehow embedded in Hollywood films. In those films, America must win. You know too well that Hollywood is global. What other better way can you portray American than Hollywood films? Where is this problem of very slow reckoning with the emerging industry coming from? We have not recognised the importance of films for that purpose. The mentality is to see films as just entertainment items. Of course, one would have thought that the history of American, Chinese, French and German propaganda would have instructed us. The first problem is that I think it did not. Second, our governments over the years have been very laid-back or lax. It is not just films. Have you ever heard them take charge of the music arena? If you look at other forms of entertainment, it is the same. Are we talking of some kind of hypodermic injection such that the films bear an unmistakeably Nigerian identity? Well, if you talk of that in an ideological sense, I would say yes. I say yes because we have not injected the ideological bent that portrays America in Hollywood. Somewhere, somehow, the Americans would inject that flag. Either one of the actors will carry it or somehow, somewhere, it will show. But if you are thinking in terms of Nigeria itself, I will disagree with you. I went to Kenya and I wore my Nigerian dress and they were just calling me Igweeee! That is straight from Nollywood. They recognised that I am a Nigerian. Embedding the Nigerian soul is the issue and that comes with government support. There is a film shot about ten years ago. The title is ‘The Invasion of the White House’. That they could allow you to recreate the White House for the purpose of a film is a statement there. Early Nigerian films did not use real police uniform, police stations or such facilities that could depict Nigeria better. That is changing now but the implication then is that those early films looked so unreal. For the international audience, that lack of the real is an issue. The point here is that if you are talking about crowning a chief in a village, it should go beyond the small circle and small number of men in the square. We should see the typical features that constitute a Nigerian village. Or somebody is put in jail, he spends a decade there and he still comes out fresh. For ten years, no wear and tears? He didn’t age? It is not possible. Of course, Nollywood has some self-inflicted problems such as bad scripts, directors who don’t know what they are doing and so on but the key problem is there is only one studio, for example, in this country as far as I know. That is Tinapa and they are not using it even. They prefer to shoot on real locations which is costly. No. It is a cartel. They are a cartel. They appoint friends, relations and so on. The first crop of actors didn’t go to arts schools. You could say that most of them transferred from television but even those ones lost control when it was realised there was money in it. Is that why there is the problem of juju which many people complain about? I have no problem with the use of juju or voodoo. I always refer to the British film industry, about this boy who went to magic school, (a reference to Harry Potter). It is that tradition the British came from. I was in Leicester, Central Britain and they told us stories of these castles or buildings they call Haunted Houses. Nobody lives there. Those who dared to sleep there are said to have stories to tell. It is said that if you slept in one room, you woke up in the other. Or you wake up outside. They told us visitors to the castles testified. There is no denying this sort of things because it is like denying the existence of the devil. It is there in all parts of the world. 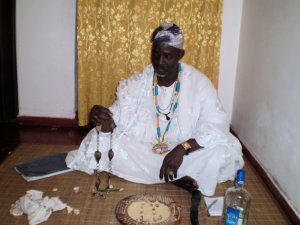 In most villages, people consult oracles. That is not my problem. It is not something we should be ashamed of. I went to the United States and they were consulting fortune tellers. I think they call it Mediums. There is the other dimension to the problem of juju. I have a friend and he drew my attention to the fact that the African god never wins in the end in Nollywood films. That is where the problem is. Our conversion to Christianity makes us believe that it is only Christianity that works. The problem must end in the church and not just any church but one with a powerful pastor who prays and the problem disappears. I do not believe Christianity works like that. I am a Catholic and the belief is not that God heals because a pastor prayed but because you believe in what you are doing. We human beings pray, it is God who heals. In our place, we believe there are good and bad spirits. Good spirits protect people while bad spirits destroy. It is not magic. Where I come from, those who work around the hills between us and Cross Rivers State do come across water holes with a clean container and garden eggs. You can pluck enough to quench your hunger but when you are too greedy, they can begin to flog you. What do you call that? There is a pond near my place back home. You can come and fish but the fish will disappear if you become greedy and start taking more than what is your fair share. This one I witnessed it when I was in the primary school. So, there are good gods that protect. Now, there are people who can go and stay for hours inside the water. This is not juju but tradition. So, if we are using this in our film, what is wrong with that? Our elders used to utter some incantations and the rains will start or stop? Would you say that is juju? My own is these things should not be used negatively, like calling on the chief priest to kill somebody. Because we know that ordinarily, the gods don’t answer any request to kill. There is always a repercussion for any killing that is not justified. The diviner would even tell you that he cannot do it. He will warn you of the repercussions. But in many Nollywood films, you could watch a woman just wakes up and kills the husband. It is not possible in real life because the system doesn’t work that way. You just kill, you too would follow within a short time because when that man died, they will take him to the village. The elders must see that this is their son and that means a lot. So, if your conscience is not clear, you dare not go the diviner. What it means is that the producers should also stop using the tradition negatively. Let us leave the issue of juju still open. What about the charge of promoting nudism in Nollywood? Film is a reflection of society in which it is located. We had a conference here some two months ago and some of these issues came up. We behave as if our children would be like us. But they won’t because they are acting out their own age. When we see them, we think they are acting strange. But every generation think their age is better, our forefathers thought their age was better, their children did not agree and our own children would not agree with us when we imply to them that our own time was better. Their own children will equally disagree with them. That is how it goes. If you stop the dressing in the films, are you also going to stop it outside? In the age of globalisation, outside could mean the streets of far, far places where the dresses come from. When their mothers go to the market, they buy these dresses for them anyway. Everything is a reflection of the society itself. In the American society, the policy carry gun as a reflection of his power and authority. In the British case, he carries baton except in special circumstances. Nigeria is becoming violent. So, the films must reflect that. No intervening variable between the reality and the narrative of the reality?